Gather your friends and family who like to sing and come enjoy the Chancel Choir Christmas Cantata on Sunday, December 3. The service will feature our favorite carols in lush symphonic arrangements by Randol Alan Bass and will have opportunities for the congregation to join us in song. John Smoke, our Christian Education Director, will narrate the Christmas story for children of all ages as told in these cherished carols. The service will also feature carol inspired, real-time visual art created by Jocelyn Danalewich. The Choirs Are Coming! The Choirs Are Coming! Read more about DGFUMC Choirs are starting soon! On December 4, the Chancel Choir will present their annual Christmas Cantata. The choir will perform 20 carols from countries across the globe and will include a visual presentation to serve as a road map on this Christmas journey. Along the way, they will be joined by some of our children's choirs for a rousing Christmas carol. John Smoke will act as guide for both children and adults as we take A Carol Trip Around the World. We hope you will join us! DGFUMC is hosting international choral celebrity, Alice Parker, the woman who shaped the face of choral music in America, and who will lead the congregation in discovering the beauty in hymn singing on Sunday, November 6 at our 11:00 a.m. worship service. She will build the musicality of each and every person present; and this service is one you will remember for years to come. At 90 years old, Mrs. Parker is making her victory lap, and this trip to the Midwest is to be one of her last out of her home state of Massachusetts. 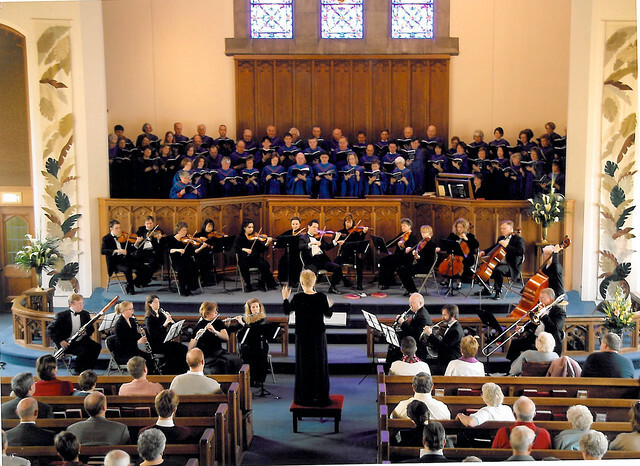 Join us as we learn from this internationally renowned composer, conductor and teacher, as she leads the congregation in a Community Sing Service featuring beloved hymns both old and new. Please invite your friends and neighbors to a special morning of singing. We hope you will join us for this unique and moving musical experience!